Need a new flask so going to ask santa for one. So which one shall I ask him (and his elfs to make for me. Any recommendations for 0.5l to 1l flasks. Just for drinks on the hill, no soup (i.e wide mouth not needed). The lifeventure ones have worked fine for me. Also buy the litre one for my old man (he had one that took a battering falling out of lorries etc, started to leak but they had changed the design so had to buy a new one). Not sure how long his last one has lasted but for everyday use its been brilliant. He found the litre stayed hotter than the 700ml important as he often starts around 4am. The Thermos Ultimate is by far the best of several flasks I've had, Even the smaller sized ones are so effective that drinks are still too hot to drink straight away even at the end of a winter day on the hills. this costs £4 in Morrisons, and is the best flask I have ever had. It's still too hot to drink by lunchtime if I use freshly boiled water in it, and there's no faffy cups, and I can work it fine with mittens on. Stanley are about the best on the market I'd say but are expensive. 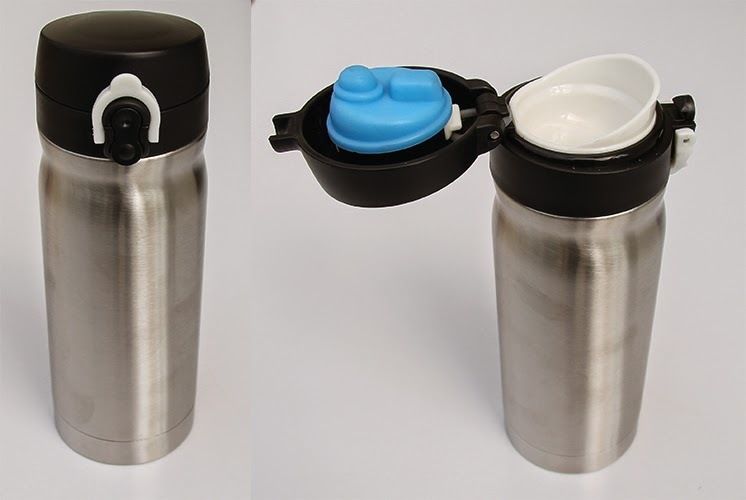 keeps hot stuff drinkably warm overnight, and as the name suggests, it's light and streamlined. "Why do elephants have Big Ears?" No, not because Noddy won't pay the ransom. Yet another vote for the Thermos Ultimate, by far the best flask I have ever bought. I hope I don't get lambasted for pointing out what a cumbersome arrangement that is. > Stanley are about the best on the market I'd say but are expensive. Agreed, I had one for 15 years until someone on site stole it. Last weekend I treated myself to another. Still, putting your flask inside a protective sheep would certainly keep it warm. Provided said insertion didn't kill the sheep. And if you could encourage the sheep to accompany you, it would carry the flask for you. Another vote for the Thermos Ultimate. Over the years I've owned just about every make of flask on the market both glass and stainless steel but this one stands out head and shoulders above the rest with regard to keeping drinks warm. Yes, thermos ultimate. Best flask going bar none. > Still, putting your flask inside a protective sheep would certainly keep it warm. Provided said insertion didn't kill the sheep. I like the original sheep idea, anyway If sheep are anything like tauntauns on Hoth, the sheep being dead won't matter: "this'll smell bad kid, but it'll keep you warm until I get the shelter up!" Steel Thermos 0.5lt, £4.99 from the Range. Best flask I have ever had. I think Santa is brining me the Thermos version people have said.